For those lucky enough, Longboat Key is the culmination of a dream where sheltered peace blends with spectacular natural surroundings. Divided in half between Sarasota County in the south and Manatee County in the north, Longboat Key offers a limitless array of family activities and attractions to please everyone. Numerous young families and retirees congregate to its pristine but less populated beaches taking advantage of the premier golf, tennis, and luxurious facilities, along with the various Sarasota real estate opportunities dotting its 12-mile coastline. 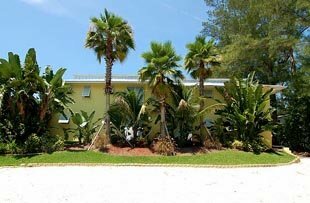 Condominiums are the popular choice for those choosing to reside full time or just spend winters in Sarasota and the condos for sale on Longboat Key satisfy the lifestyles and financial abilities of most. Longboat Key condos are highly coveted for their breathtaking water views, immaculately landscaped surroundings, generous amenities, and thoughtful private beach accesses. Whether your preference leans toward a classic luxury condominium right on the Gulf of Mexico coastline or a palatial penthouse with a boat berth on the Sarasota Bay side, there are diverse choices for every way of life. Built in 1970, the Beach Castle condos for sale have always been popular for savvy buyers looking for the ultimate Longboat Key residence investment. Located at 5311 Gulf of Mexico Drive and stretching from Sarasota Bay to the Gulf of Mexico, some of the residences feature vistas of the beach as well as the Gulf. Designed in the Key West style, this complex rekindles a look back at a time when Longboat Key became famous for its seclusion and tropical lifestyle. 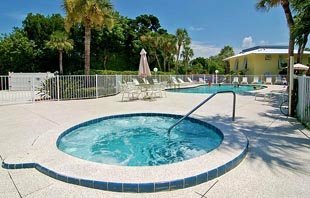 Gracious amenities include private beach, bayside boat/fishing dock, BBQ picnic area, resort style pool, and spa/hot tub. 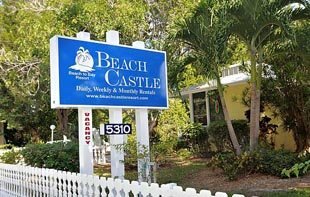 Completely renovated in 2005 into a 21 unit condominium resort, the condos for sale at Beach Castle continue to be a desirable destination for those seeking affordability in an idyllic waters edge location. The spacious residences here average around 1,100 square feet and feature one, two, and three bedroom configurations. Because it’s situated on one of Longboat Key’s narrowest points, easy access to Sarasota Bay and Gulf of Mexico access is a major benefit. With reasonable pricing starting in the $260s, these condos offer a lot for a little. Beach Castle residents are very close to world class shopping and fabulous fine dining located at the heralded St. Armands Circle. A just few minutes across the bridge is downtown Sarasota and all the delights and attractions of its fine arts community including antique shops, opera, ballet, museums, art galleries, and a dazzling array of casual and fine dining. If golf is your passion, you will find courses on Longboat Key as well as around 40 tournament quality courses throughout Sarasota. Below are all of the current real estate listings available for sale at Beach Castle.